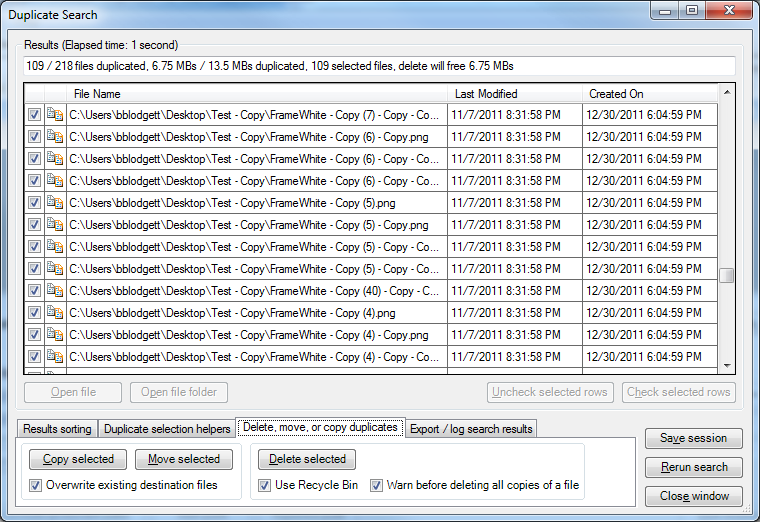 Find and remove duplicate files fast! 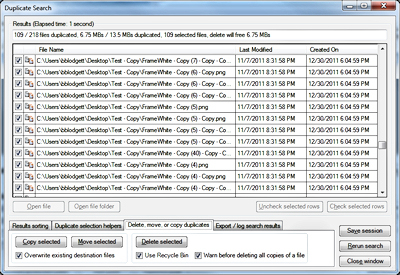 Duplicate files waste space, clutter your computer, and slows you down. 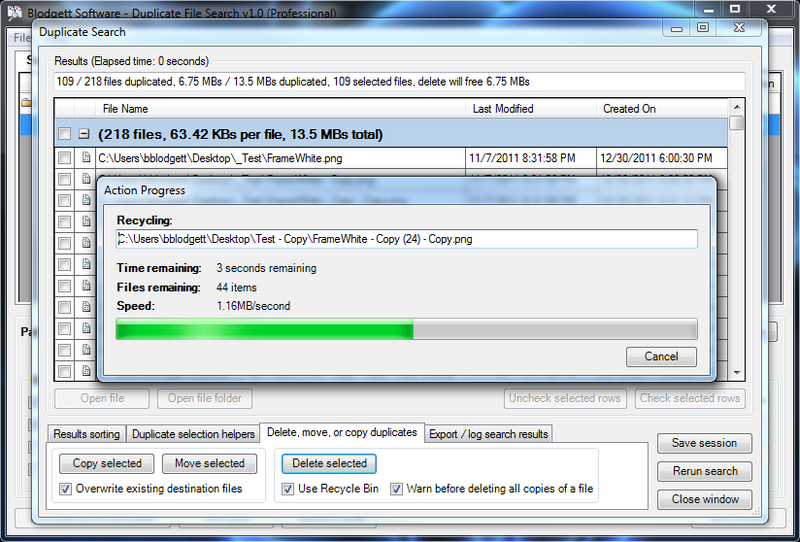 Deduplicate your data files today! 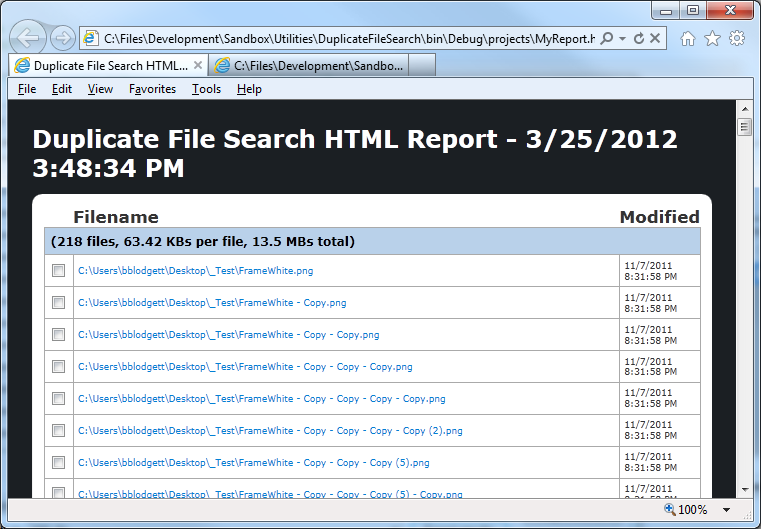 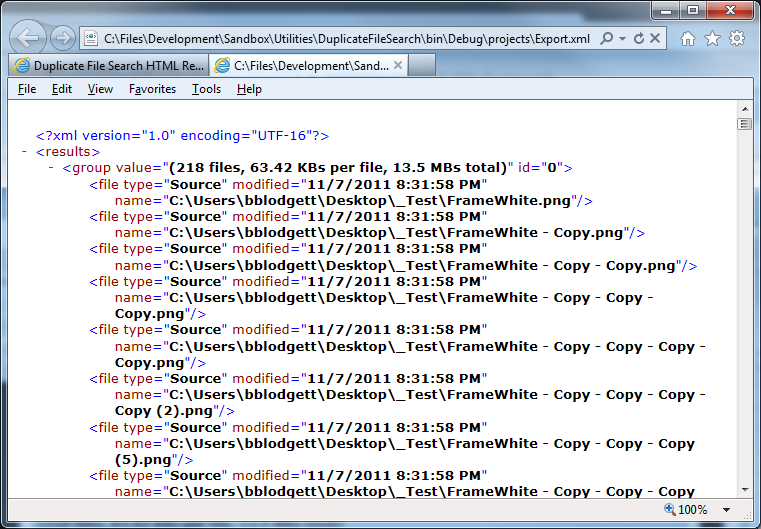 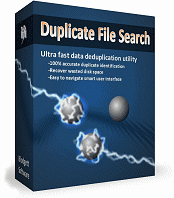 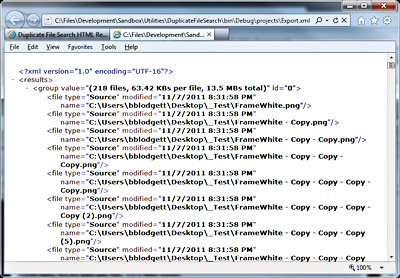 Instantly find duplicate files using the ultra fast Duplicate File Search software. 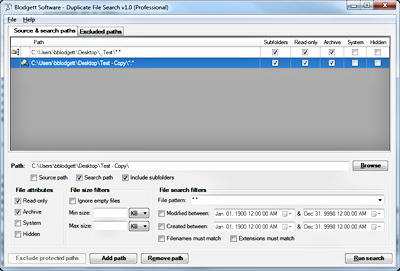 Duplicate matches are completely accurate using our true match binary matching algorithm. 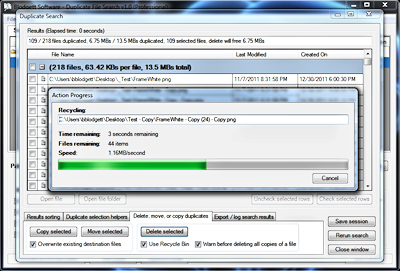 Quickly and easily purge duplicate files from your computer to free up disk space and remove file clutter. 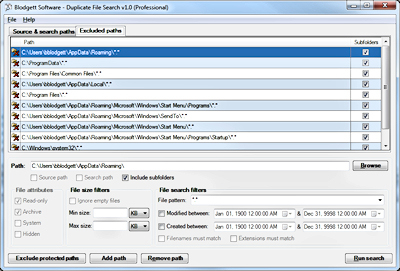 Deduplication of data will optimize your computer by removing duplicate files that slow down indexing and backups. 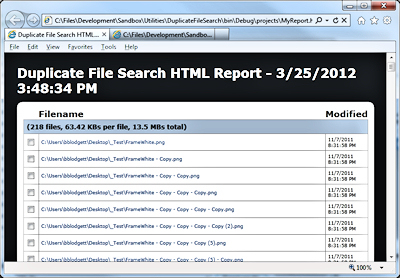 Our data deduplication utility comes packed with every option you will need to find the duplicate files wasting space on your computer and gives you the tools to remove those duplicates from your computer fast! 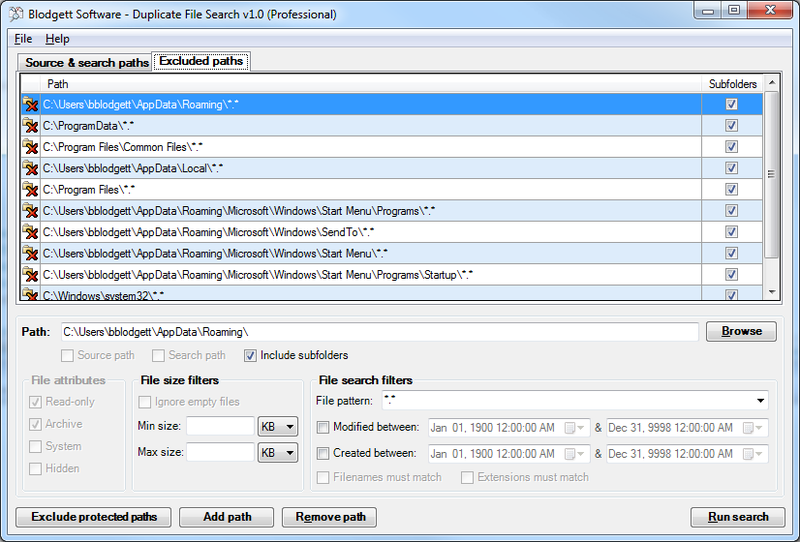 Duplicate File Search comes with all these amazing software features!